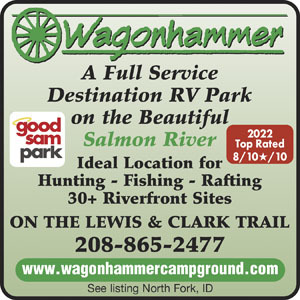 We stayed at Wagonhammer in a 36’ fifth wheel in June 2018. The drive down Hwy 93 to the campground was beautiful. The campground is picturesque with the North Fork River right in the campground. We only stayed one night but it would be a great place to stay and relax! Sites were level and easy in/out and connections were easy. Mosquitoes were out in full force so bring your bug spray! Parked in second row so as to have full hookups. The sites in the front row are just a few feet from the Salmon River. There was only one RV in front so our view of the river was great. This Park sits in a valley and the views are great! Would like to come back and stay for a week or more. Many sites have fire rings but ours did not. Staff is very helpful. The RV park owners and hosts were professional, friendly, and courteous in addition to providing useful information about the area. We spent evenings fishing the Salmon River which was a very short walk from our site with some success catching Rainbows and Cutthroats. The park was quiet, has an awesome place to walk pets, and easy access sites regardless of RV length. The sites are relatively close together but never found this to be an issue. Gas and diesel is available at North Fork, a two-mile drive north of the park, along with a restaurant, convenience store and post office. There is so much to see or do in the area if you are a Lewis & Clark buff, enjoy fishing or just like to sightsee. The water in the park is like most water in the area has an off-color tint to it but is safe to drink. I would recommend using a quality water filter before filling your RV water tank or hooking up to the water spigots. Beginning in mid-July we spent ten days at the park and would return in a heartbeat. 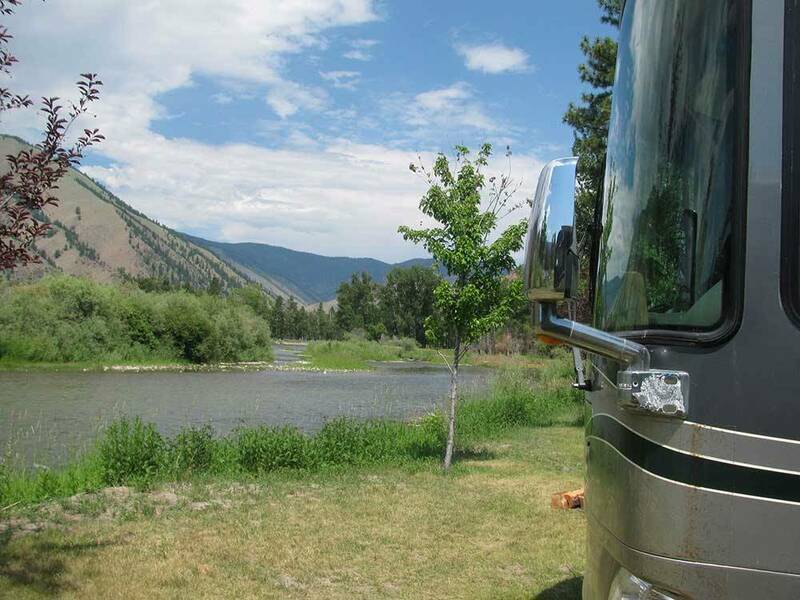 Absolutely beautiful campground with spectacular settings along the Salmon River. Wonderfu hosts and staff. Would return anytime.